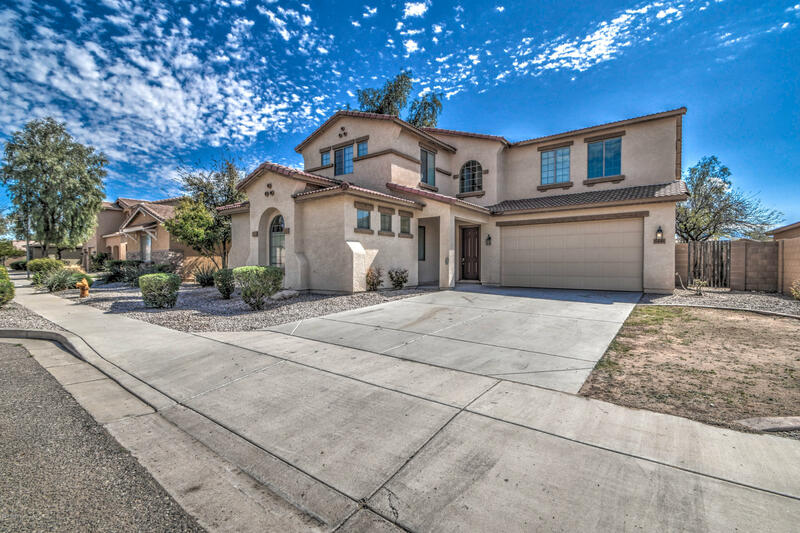 This home truly just about has it all with a CASITA with it's own entrance!! Gorgeous and open floor plan with neutral color paint throughout. Separate living & family room. Kitchen has stainless steel appliances, beautiful upgraded cabinetry, island, pantry, granite counter tops. Master bath suite offers 2 vanity sinks, separate garden tub & shower, walk in closet, and glass block window. Spacious bedrooms and a huge loft as well. The back yard has a covered patio and plenty of room to entertain, relax, or even add a future swimming pool. All this and also has a guest bedroom and bath! You will love the quiet and well maintained neighborhood. This home is simply a GEM. Come take a look...we know you won't be disappointed.